Passing through the Zhengyangmen or Qianmen Gate, one encounters the official marker for distances in China. 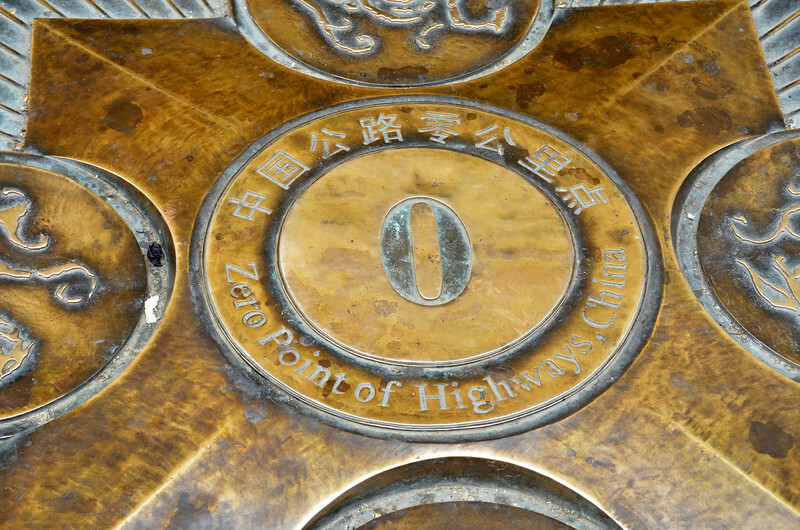 The English words say, "Zero Point of Highways [in] China." The Gate and Marker are situated on the south side of Tiananmen Square, Beijing.